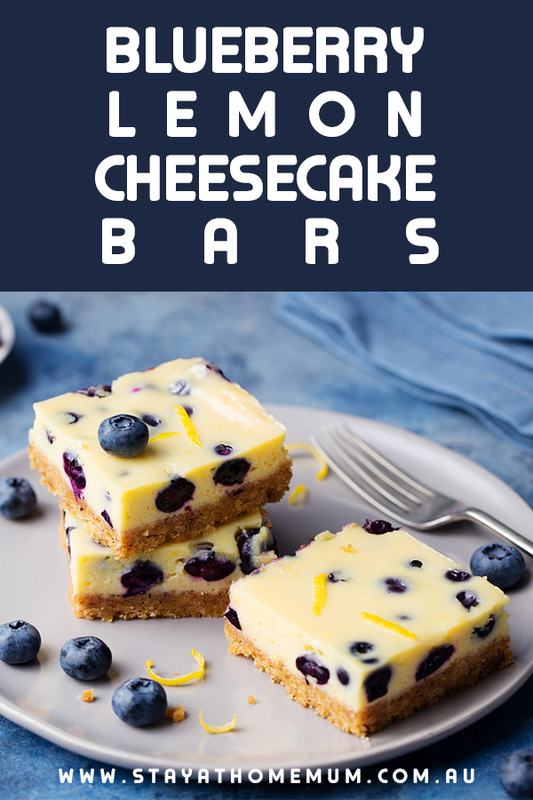 Cheesecake is pretty delicious no matter how you make it, but we have to say these Blueberry Lemon Cheesecake Bars really blew us away. 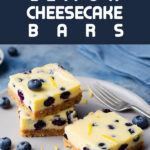 They aren’t just everything you want in baked cheesecake, from the smooth creamy filling to the crumby delicious base. They’re also packed with stunning blueberry flavours, and the zesty hint of lemon! Preheat oven to 165 degrees and grease the bottom of a baking pan 20-22cm square. Lay baking paper over the top of the greased pan, and press down into the corners to properly cover. Using a food processor, blitz together the sugar, cinnamon, and biscuits until it looks like bread crumbs. Add the melted butter and pulse to combine. Spoon into the baking pan and gently pat down using the back of a spoon. Bake in the preheated oven for 10-12 minutes, or until golden. Set aside to cool. To make the filling, add cream cheese, eggs, lemon zest, lemon juice and sugar into a bowl. Combine well using an electric mixer. If you would prefer to use a food processor or stand mixer, do so. Once the mix has a nice smooth consistency, pour it onto the cooled base and then cover with fresh blueberries. Push the blueberries into the cheesecake if you want, to leave them partially exposed. Bake in the oven for around 35 minutes, or until the centre jiggles just a little bit when you shake the pan. Remove from the oven and cool fully before popping in the fridge for a minimum of three hours to allow it to properly set. Once set, remove from pan and slice into bars. Top with fresh blueberries and lemon zest if desired. You can use frozen and thawed berries, but you’ll get more purple colour and less defined edges around the fruit.